Today marks the 64th anniversary of the adoption and proclamation of the Universal Declaration of Human Rights (UDHR), which Human Rights Day marks each year on 10th December. 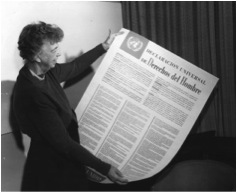 The UDHR came into effect in the immediate aftermath of the Holocaust and World War II, on December 10, 1948. The international community vowed to never again allow such atrocities. Despite this remarkable commitment and milestone, the 1994 genocide in Rwanda was not prevented, resulting in the killing of over one million people. Over 400,000 people survived the genocide, and continue to live and die, from its consequences today. An a matter of legal right, and in line with the recent human rights instrument, Article 8 grants victims the right to effective remedies which includes restitution, compensation, rehabilitation, satisfaction, and guarantees of non-repetition. Guided by this provision, the UN Basic Principles and Guidelines on the Right to a Remedy and Reparation for Victims of Gross Violations of International Human Rights Law and Serious Violations of International Humanitarian Law sets out a comprehensive roadmap for realizing victims’ right to remedy, with which all nations, including Rwanda, should comply. 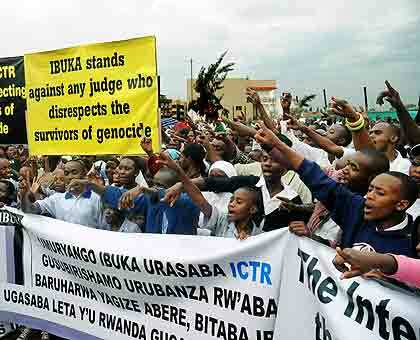 Although the Constitution of Rwanda is largely inspired by the UDHR, the application of this provision to secure the right to reparations for genocide victims remains problematic at best. Since 1996, genocide perpetrators have been brought to account for their actions in Rwanda’s courts. As a result, over 4,000 individual survivors have awarded compensation in such cases, but the majority of these judgments have never been enforced. With the inception of gacaca courts, the right to effectively remedy victims of genocide, unlike victims of ordinary crimes, was considerably reduced in Rwanda’s legislation. Therefore, as we celebrate the 64th anniversary of the UDHR, in relation to the survivors of the genocide in Rwanda, they are still waiting for Article 8 to be meaningfully honored by both the Government of Rwanda and the international community. The UDHR lays down obligations that States are bound to respect. Article 8 is one of those obligations which has yet to be honored, to the unfortunate consequence of the hundreds of thousands of Rwandan survivors. By becoming parties to international treaties, States assume obligations and duties they must respect under international law, most importantly to protect and to fulfill human rights, including rights to remedy for victims.